Nobody likes losing and, as with banging your head against a brick wall, the best thing you can say about it, is that it’s nice when it stops. Like some love-lorn teenage boy returning yet again from the bright lights of the coolest disco in town without having landed a dance with the best-looking girls, Arsene Wenger now appears to be lowering his sights from the Champions League, to the Europa League, the school disco of European club football. Perhaps Arsenal could be belle of the ball there. Some may call it a realistic assessment, Arsenal fans may well have a different description for it. The wake of a defeat is probably not the best time for a sober analysis of any sporting situation, but Gunners’ boss Arsene Wenger seemed particularly downbeat when questioned about his team’s elimination at the hands of his former club, AS Monaco. His mood cannot have been helped by the fact that Arsenal had come close to turning over the ultimately fatal 1-3 defeat suffered in the first leg at the Emirates; a 2-0 victory leaving the Gunners just short. It’s a not unfamiliar fate for the north London club. In the past they have faced similar scenarios, and seem to specialise in the heroic failure of ‘almost, but no cigar’ scenarios.’ The tie against AC Milan a few years ago comes to mind. Four goals adrift from the first leg, they led 3-0 at half time, but could not get over the line. The game at the Stade Louis II was a similar story. 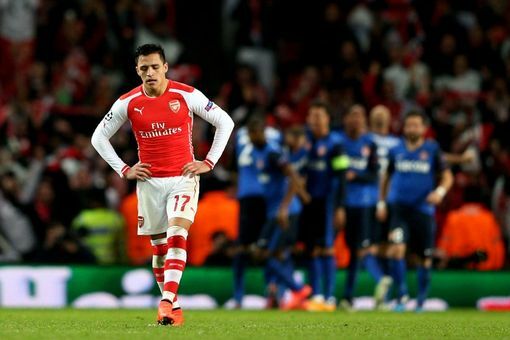 Alexis Sanchez trudges off after the Gunners just fall short of overturning the first leg deficit. Some may find it strange that such a spirited fightback, albeit ultimately futile, did not inspire a more positive attitude in the veteran French manager. If it had been a one-off scenario, it may well have been the case, but the ‘noble defeat’ is now becoming a well-worn garment to wrap around the Gunners’ psyche to ward-off the cold chill of another disappointment. It’s said that you never know how dark the night is until you have been shown a glimpse of the dawn. Wenger now appears to concede that with this defeat marking the fifth consecutive exit from the competition at the same stage, his Champions League fate will be forever nocturnal. “Maybe it would be better not to advance from the group phase and play the Europa League rather than be eliminated right away in the last 16,” he declared after the game. Of course you would Arsene, so would entering your first team in a local 5-a-side tournament, but that’s not really the point, is it? “We would have more chances to win a title.” Yes, but there’s titles and there’s titles. To many observers, it sounded dangerously like throwing in the towel. He went on to lament that at least if you finish third in the group stages, you have more European competition to look forward to. Some may argue that a trail around eastern Europe and the lower lights of the more progressive continental leagues is pretty small fare, and hardly compensation for missing out on the banquet at Europe’s top table. Chelsea players certainly seemed happy enough to lift the trophy. Wenger may have a point however. Few would doubt that the labyrinthine format of the Europa league has a tendency to be tedious, offering the longest of long run-ups to any meaningful element of the competition. Glory however, can be wrung from competition. A few years ago, as Chelsea sought to defend the Champions League trophy they snaffled from Bayern Munich in their own Bavarian backyard, they were unceremoniously dumped from the competition in the group stages, and shunted unceremoniously into the Europa League. With a mixture of application, and determination from Rafa Benitez to end his ‘Interim’ tenure with a trophy however, Chelsea ploughed through the interminable rounds and took the trophy. The celebrations were certainly not as robust as they were when the club secured the biggest prize in European club football, but it was no downbeat affair. A pot is a pot for all that. After defeating Manchester United in the previous round, Arsenal have probably achieved ‘favouritism’ status as they seek to defend the FA Cup they won last year. A semi-final against Reading should offer only a relatively small obstacle before another final. Should they win the competition, it would secure them qualification for the Europa League. that could then only be imperilled if the Gunners finish in the top four and qualify for the Champions League instead. 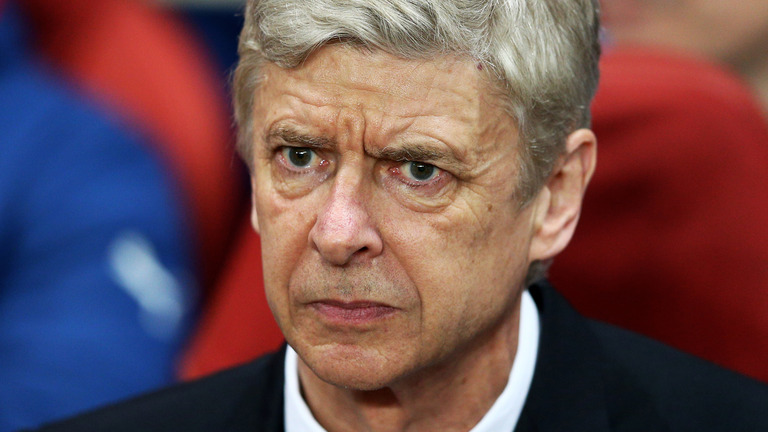 Would Wenger be tempted to ‘chuck’ his league position to qualify for the Europa League? No, I don’t think so either.